A photo/video gallery is the crucial part of any WordPress website. It enhances the user engagements and provides the possibility to increase the conversion rate. Besides, they can also be used for delivering an informative and relevant message to your visitors that allow you to win clicks from them. From the surface, a beautiful gallery makes your website look more visually appealing. However, if you go in depth, a gallery provides with you an opportunity to show your clients about your previous works, demonstrate your offerings and abilities, etc. Hence, an informative and relevant gallery can make your site more trustworthy and boost the conversion rate. Due to the high importance of galleries on a website, many WordPress theme developers have included inbuilt Gallery Section on their themes. However, the default gallery section provided by the WordPress themes may contain limited features and you may not be able to customize it as per your preference. 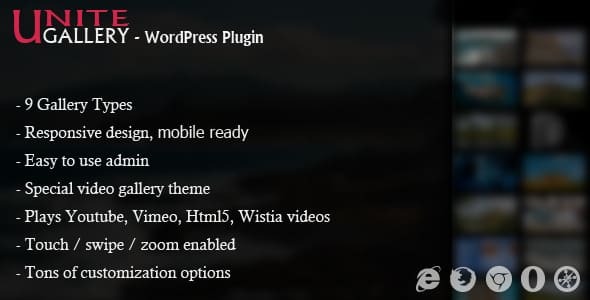 So, to upgrade the functionality of the default WP gallery or create your own beautiful galleries on your website, I recommend you to use WordPress Gallery Plugins available on the internet. Now let’s talk about my handpicked collection of best WordPress gallery plugins that allows you to create magnificent galleries in less time. They come with powerful features to customize your gallery section and make it attractive to your WordPress website. Besides, they are also very popular in the plugin market and are worth every penny. Everest Gallery is the most flexible WordPress Gallery Plugin packed with amazing features and spectacular designs. It contains 30+ different layouts to showcase your galleries in the most appealing way. Additionally, the grid and masonry layout come with column configuration options that allow you to configure the column as per screen size. It is a highly customizable plugin that comes with 35 pre-designed hover animations and 10 pre-designed image filters. You can use them to display the galleries according to your preference. Besides, the plugin also comes with backend preview functionality to fetch the preview on the backend before going live. Unite Gallery is the best selling gallery plugin for WordPress that allows you to create a beautiful, responsive and mobile friendly gallery on your WordPress website. It contains 10 different gallery layouts for displaying your gallery in an eye-catching fashion. Additionally, the plugin is compatible with YouTube, Vimeo, HTML, Wista videos. Therefore, you can mix your image items with video in every gallery. It is a highly customizable plugin that comes with 120+ gallery options to customize your gallery as your preference. Besides, the plugin also contains touch functionality. So, you can enable the touch function and control your gallery from touch on the touch-sensitive devices. Gallery Mojo is elegantly designed WordPress gallery plugin for building beautiful galleries on your website. It comes with 20 different styles that include grid and masonry layouts. Also, each gallery you created from this plugin supports upto 6 columns for adding pictures and videos. It is a fully responsive plugin that comes with good-looking lightbox. Besides, the plugin also comes with tons of customization possibilities that allow you to customize each part of your galleries. DV Gallery is a premium responsive WordPress gallery plugin. It contains 3 main gallery style i.e. blog style, carousel style, and grid style. You can use any of your style in your gallery and display the images and videos in a stunning fashion. 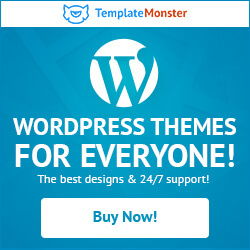 It is a highly configurable WP plugin that allows you to change all the colors, font sizes, spacings etc. Besides, the plugin also contains 6 custom gallery widgets and 6 custom gallery shortcodes to display your gallery in the different places of your WordPress site. Final Tiles Gallery is a premium WordPress gallery plugin for your WordPress website. It comes with 2 available layouts to choose from i.e. final tiles (mixed image size) and masonry (same image size). Besides, the plugin also contains 7 elegant lightboxes to display the images and video of your gallery in a beautiful way. It is an easy to use plugin that comes with best admin panel. Through the admin panel, you can manage and customize your galleries and make it look spectacular. Moreover, the plugin is also compatible with lazy loading for loading your images without affecting the speed of your WordPress website. These are my collection of Best WordPress Gallery Plugins that can be found over the internet. They contain multiple configurations and customization options to build stunning galleries in no time. Also, these plugins come with different layouts for matching the overall templates of any types of websites. A gallery is an essential tool for showcasing your works and experience in a visually appealing way. Hence, if you are using a website without a gallery section or have the one with traditional designs then, I recommend you to change it right away using the WordPress Gallery Plugins. Next articleHow to Blog Anonymously Using WordPress? 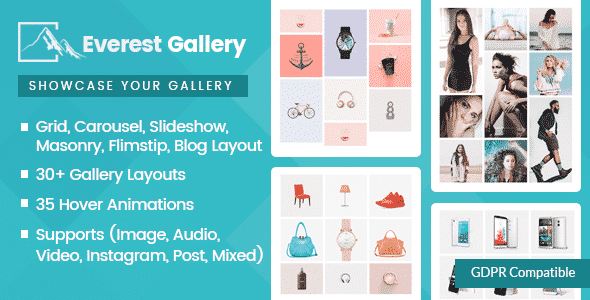 Hey Buddy!, I found this information for you: "5+ Best WordPress Gallery Plugins (Premium Listing)". Here is the website link: https://wpallclub.com/best-wordpress-gallery-plugins/. Thank you.